Let’s start at the beginning with the milk. 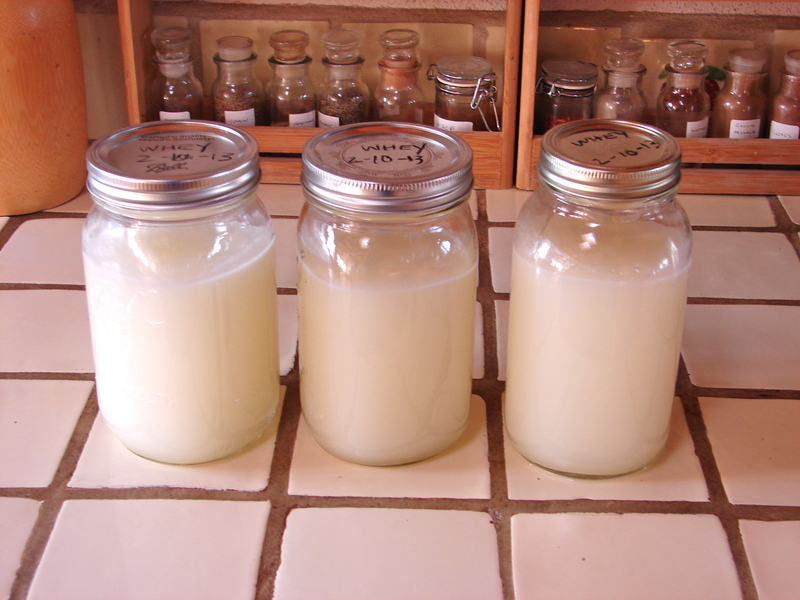 In my opinion, the three most important factors contributing to the taste of goat milk and goat cheese are cleanliness of the milking area, cleanliness of the equipment, and getting the milk chilled down below 40 degrees F in as short a time as possible (and DEFINITELY within 1 hour). If you, or your farmer, adhere(s) to these rules, your milk should be sweet, creamy, and NOT goatie tasting. 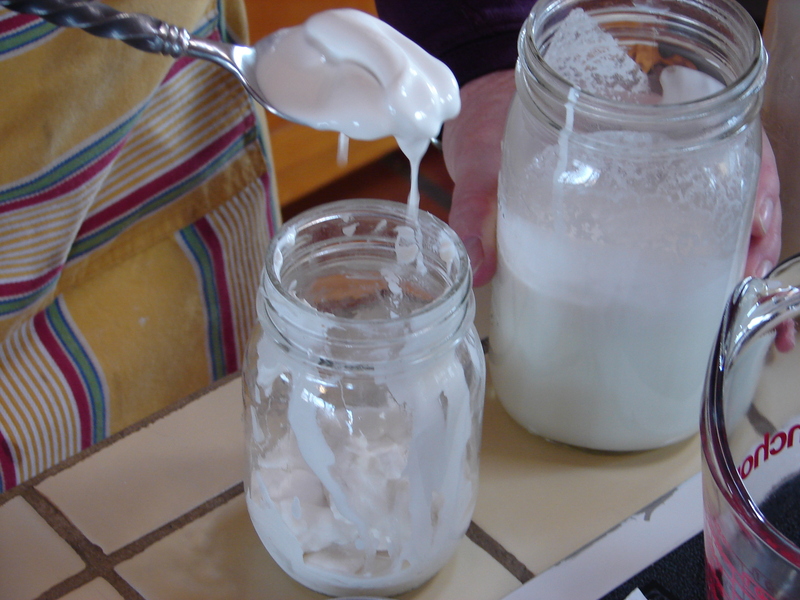 (Of course, there are other things that can effect the flavor of the milk, such as the plants a browsing goat may consume, a buck kept with the does, or any medications the goat my be given). 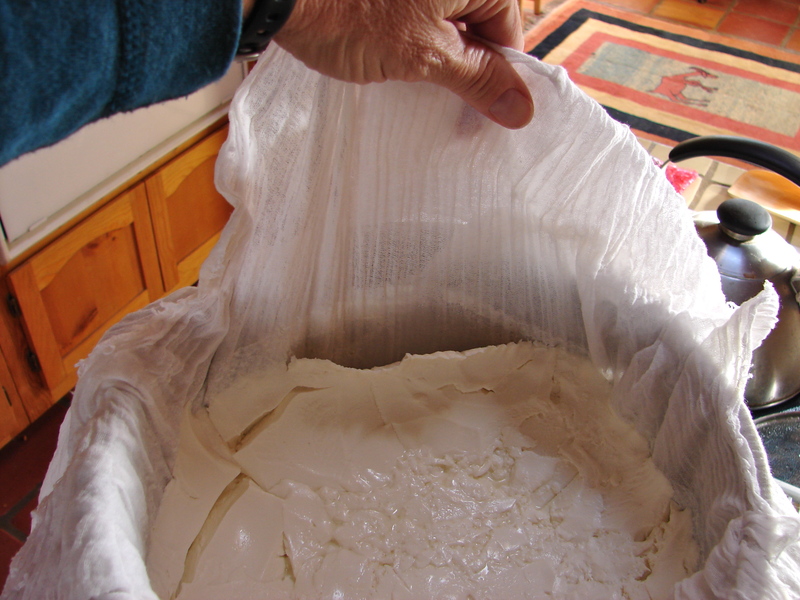 And please do not use store bought goat milk from a carton for your cheese making. Believe me – your cheese will taste terrible! 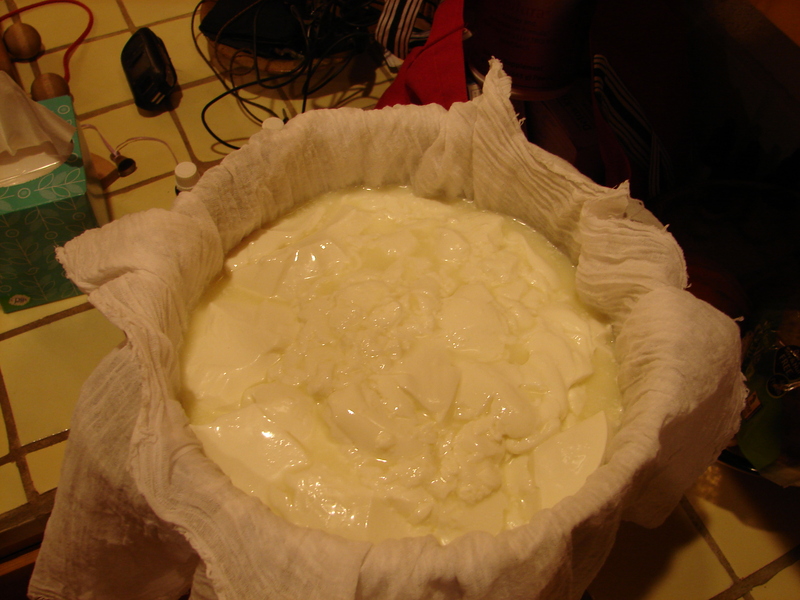 In fact, I can not even eat store bought goat cheese anymore since we got our own goats and make our own cheese. Yes, spoiled we might be, but the difference in taste is amazing! 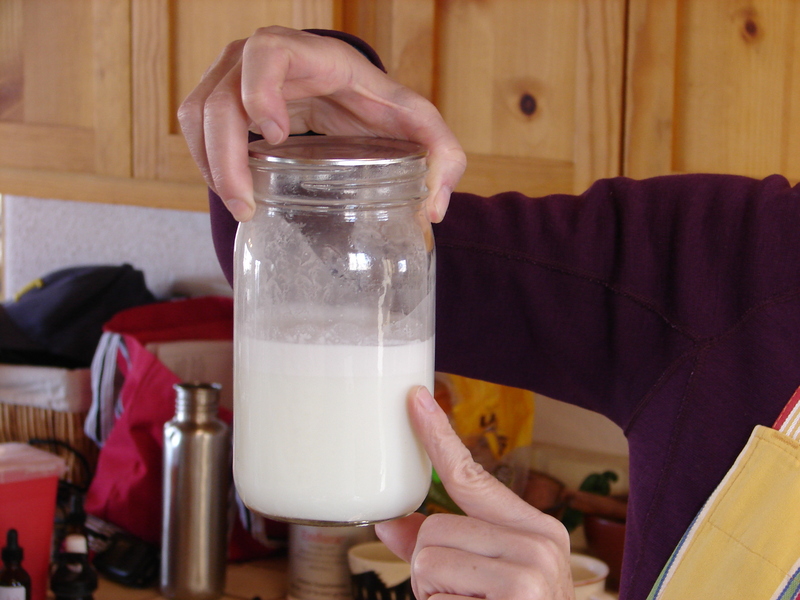 It’s the store bought goat milk that has given it a bad name. No, I am not talking about haz-mat suits, respirators and stainless steel milking parlors. Although if you want to sell your dairy legally in stores, that’s not too far off the mark. But for the wee farmer down the road (like myself), the milking stand should be kept in a ventilated area as free from the smells of urine and manure as possible. 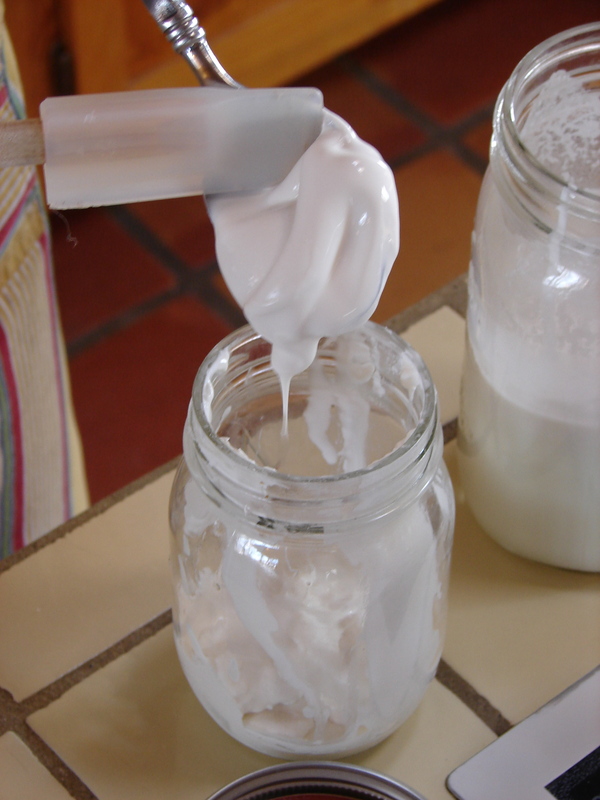 These smells can lay down over the surface of the fresh milk in your pail and transfer into the milk itself. The milking stand should be reasonably clean as well. And your goat should get a quick (at the least) brushing before the milking commences so as to remove dirt, manure and fur that could (and will) fall into your pail. (Milking pail lids with little crescent moon holes are pretty cool but my aim has never been good enough to use them. Plus I like to milk while looking at the morning sun on our southern mountain range so I need the large opening.). I use two squeeze bottles – one with hot water and 5-6 drops of grapefruit seed extract, and the other with olive oil, and a small clean rag (we use our old cloth diaper wipes which are just the right size). Once Hazelnut is on her stand and brushed (especially about the udder and hind quarters), I rinse her teats with the hot water bottle, then my hands, and then dry my hands and the teats on the rag. Next, a squeeze a dime sized puddle of olive oil in my palm and rub it about my palm and thumb webs. This step makes the milking more pleasant for both of us, and keeps Hazelnut’s teats from drying out. A clearing squirt from each teat goes on the floor (or in your shoe if you have my aim issues), and then the milking commences. The bucket needs to be kept as clean as possible during and after milking, so it is best to leave the milking as your last chore in the barnyard and go straight back to the house. This is only how I milk. There are many ways to milk which would meet those “reasonably hygienic” standards you are looking for to make great tasting cheese. Then that precious milk needs to be strained. We go the simple route and use a plastic tea strainer with a folded piece of cheese cloth pushed into it. BUT, we make sure that the cloth is washed and rinsed and dried well between uses, and the same with the strainer. There are fancy disposable paper strainers you can buy on line but I abhor all things disposable. Why make more waste to fill our landfills when the old fashion ways are usually just fine? When I am unsure of my choices, I ask myself, “What would Ma and Pa Ingles have done?” As Laura Ingles Wilder lived to be 90 years old, I figure their methods are good enough for me! 2. Chill that milk fast! We use the milking pail itself so we can move it out of the sink if the sink is needed. 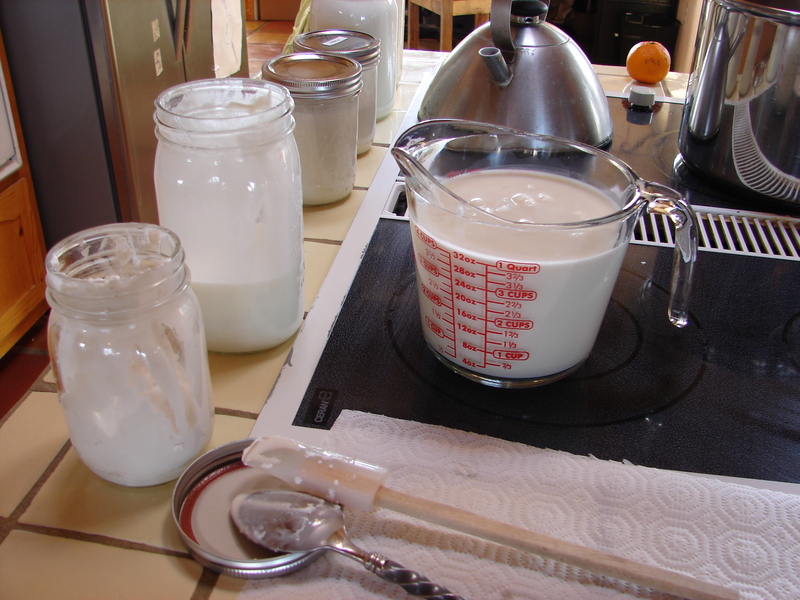 The strained milk goes into quart sized mason jars and are placed in the pail which is then filled with cold water and ice. This ice bath method is MUCH faster at dropping the milk temp than just placing the jars in the freezer for chilling. I have timed and checked temps with both methods, so you don’t have to do it yourself (unless you are stubborn like me). 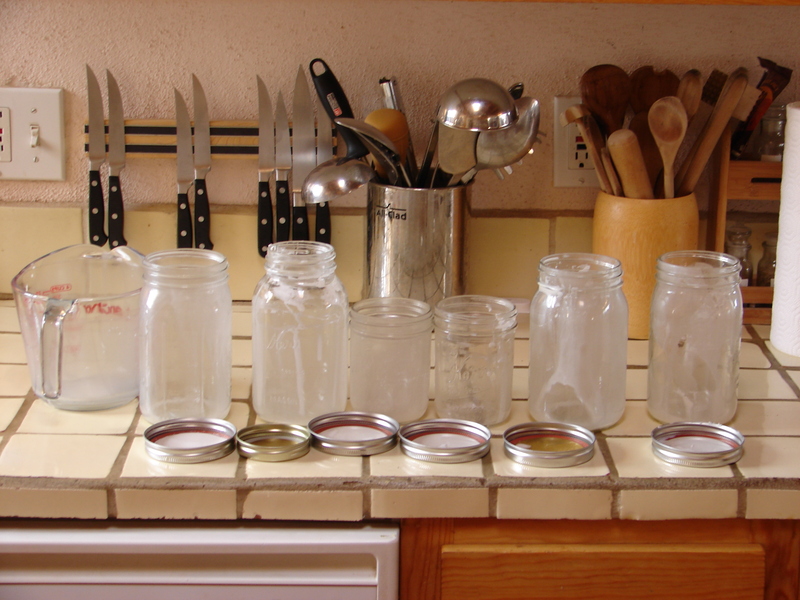 After about an hour we shift the jars into the fridge affixing the day of the week on each lid. Hard to know where to place this detail as it important throughout. Always best to wash anything that comes in contact with milk with COLD water first. 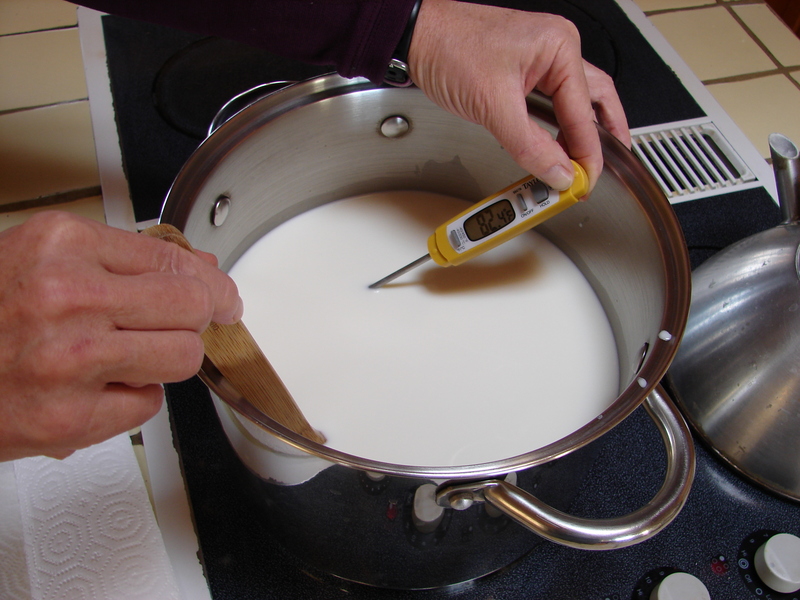 Hot water welds the milk onto surfaces (think of scalded milk) and builds up a milk scale over time. After the cold rinse and scrub, then wash with very hot water, detergent that is not scented, and a stiff brush or green scrubbie. Several very hot rinses follow and then air drying. Do NOT air dry upside down on a towel as it will turn into a bacteria breeding hot house! Set your jars, pail, strainer, cloth, cheese making equipment, etc on a metal rack to dry. Take a deep breath because the hard part is behind you. 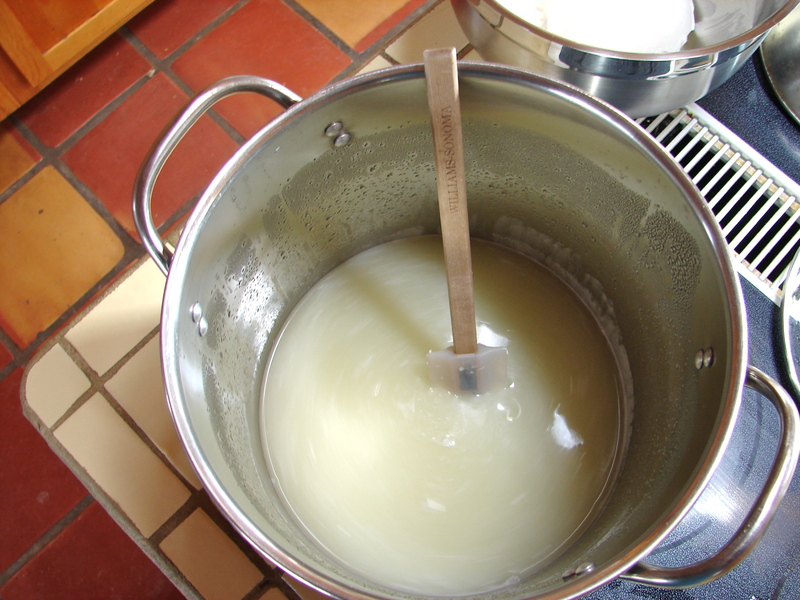 For making chevre you will need a cheese thermometer (or any thermometer that will measure liquids between 80 and 150 degrees F), a stainless steel pot, a spoon, a measuring cup, and the chevre culture. I purchase my cultures through either Cultures For Health or New England Cheese Making Supply Co. I buy many at a time and store them in the freezer to save shipping costs. So! 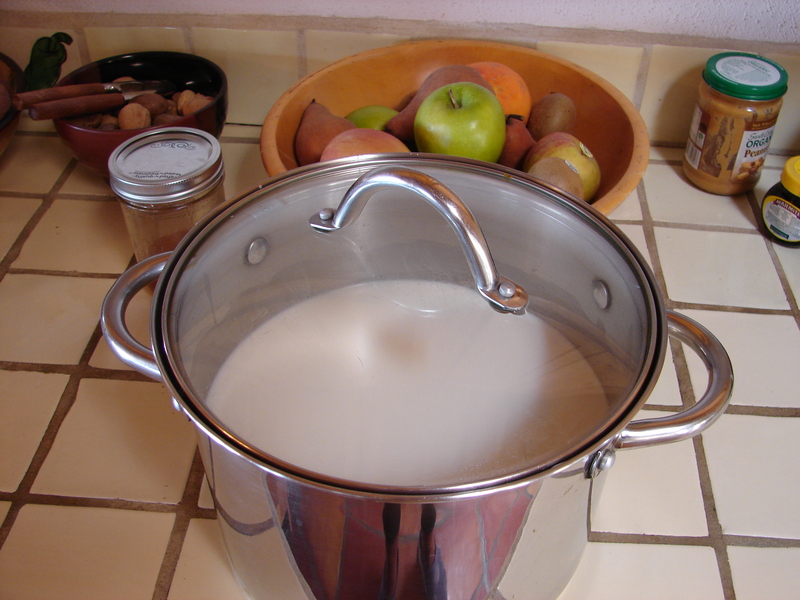 Measure out a gallon of fresh goat milk and pour it into your clean stainless steel pot. When I say fresh I mean no more than 5 days old and kept chilled in the fridge throughout. 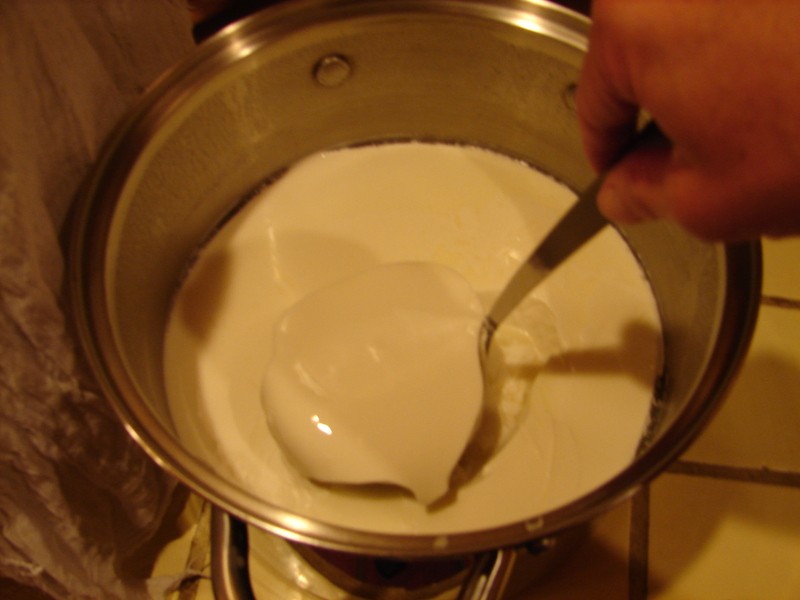 Heat the milk to either 86 degrees F, if you want raw chevre, or 145 degrees F if you want pasteurized chevre. I used to pasteurize but now make all my cheese raw as I trust our milking hygiene and prefer to have the beneficial enzymes and bacteria remain in my cheese. In either case, stir continuously and watch your thermometer like a hawk. You will be shocked at how fast the temp will spring over your mark – the pot itself holds heat, even when removed from the unit. 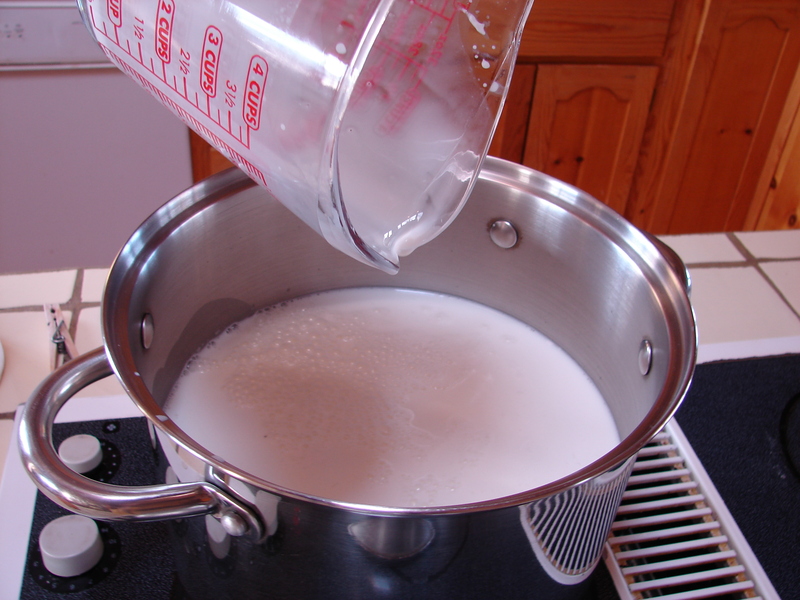 If you are pasteurizing, once your milk reaches 145 degrees F, stir and keep at this temp for 30 minutes (or so I have read, although I never did this myself), and then place the pot carefully into an ice bath (ice and water in your sink) and keep stirring until the temp is almost down to 86 degrees. Be careful not to let any of the bath water slip over into the milk. In either case, raw or pasteurized, 86 degrees F is your goal. Obviously, if going the raw route, just bring your milk up to 86 degrees and you will have no ice bath to fool with. This is the temperature the culture prefers and does best at. Once you reach this temp, shake in the contents of the culture packet and stir for a couple of minutes. Then set the pot on a counter with a lid and leave undisturbed for about 12 hours. Honestly, this time is very flexible – sometimes I let it sit for 8 hrs and sometimes for 16. But I aim for 12. The packet instructions say to let the milk with added culture sit at 72 degrees F but I assure you I do not adjust the temperature of our house to accomodate the cheese making! Our house is usually between 65 and 70 degrees and my cheese is just fine. Can you see the 3/4″ of cream on the top here? We scoop this off and freeze it for later to make butter or ice cream. It is, of course, fine to leave the cream in the cheese too! But as we do not notice the difference when consuming the cheese, we choose to skim the cream first. Or sometimes I spoon it into my daughter’s mouth for a treat…. Delectable! Heavier than heavy whipping cream! …stir in the culture and set the pot on the counter to do it’s magic. Remember to wash all those empty jars in cold water first! Once the desired time has passed, prepare another pot, with a colander set on the top, and line the colander with butter muslin cloth (you can purchase butter muslin at the same stores that sell the culture). 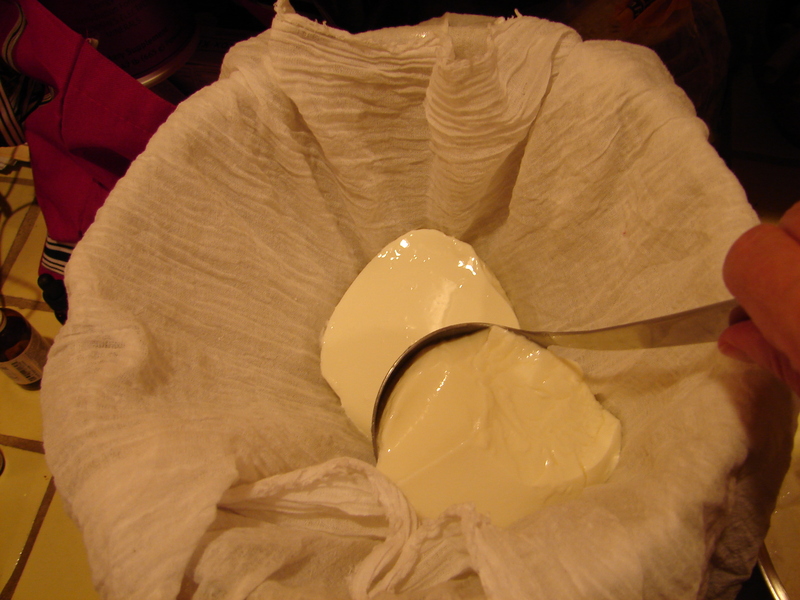 Gently ladle the solid curd into the muslin and scrape the pot bottom to get the remainder into the cloth. The whey will immediately begin to drip through sounding like rain pattering on a tin roof. 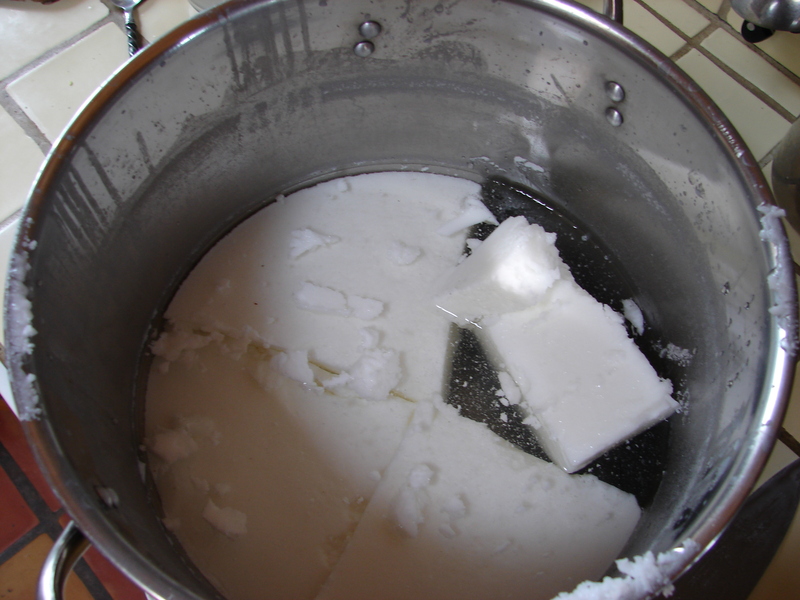 Place the lid over the colander and let the curds drain for… oh 4-18 hrs… depending on what consistency you desire. 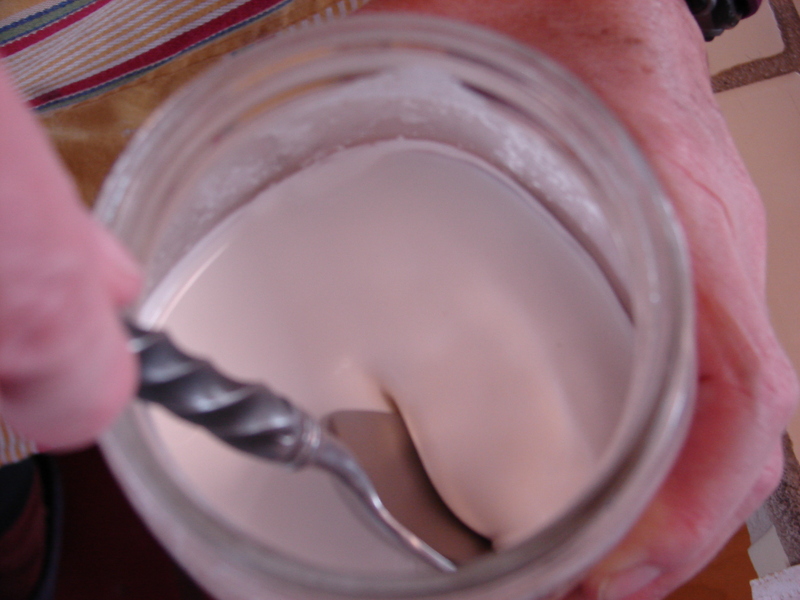 If you want very soft, spreadable chevre, go for the shorter end of the time spectrum. 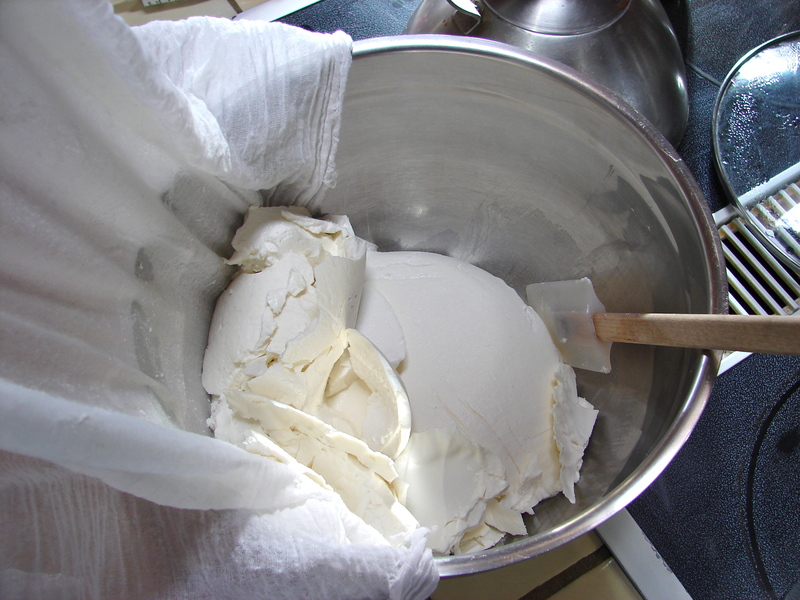 If you want dryer chevre to put on salads, go for longer. And remember, it is not rocket science. Chevre is very forgiving in my experience. 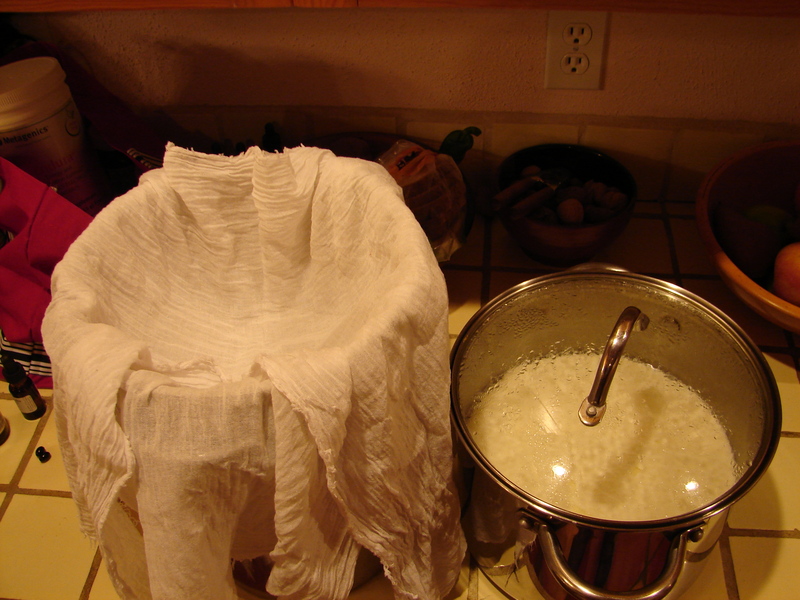 Many people will tie up their muslin cloth and hang it from a sink faucet, but I find it does perfectly well sitting in the colander (and I need my sink!). But hanging will lessen the needed time for the draining so keep that in mind. Setting up the colander to drain the whey from the curd. 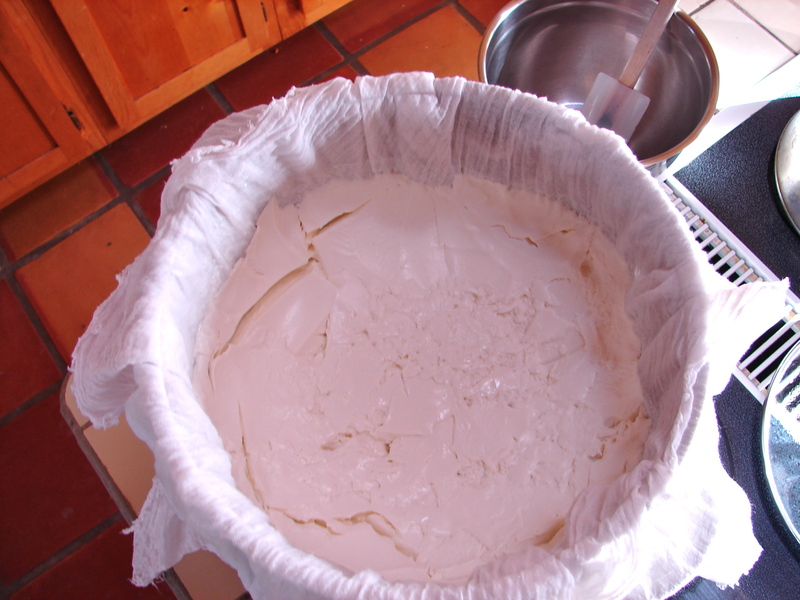 All the curd and whey is transfered and the whey is draining. 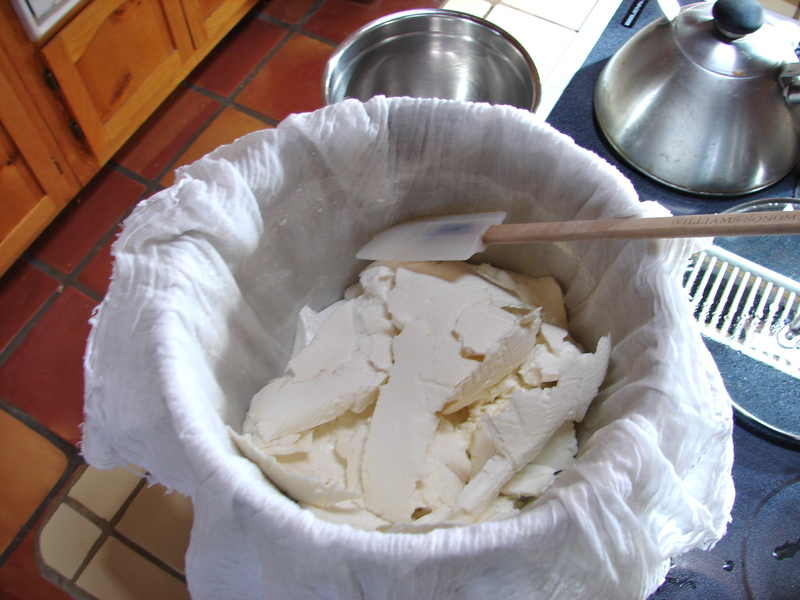 Once your chevre is at your desired consistency, lift the cloth out and let the cheese fall into a large mixing bowl. Then smash and fluff it to blend it evenly. If you want to add salt, this would be the time to do it (we do not). 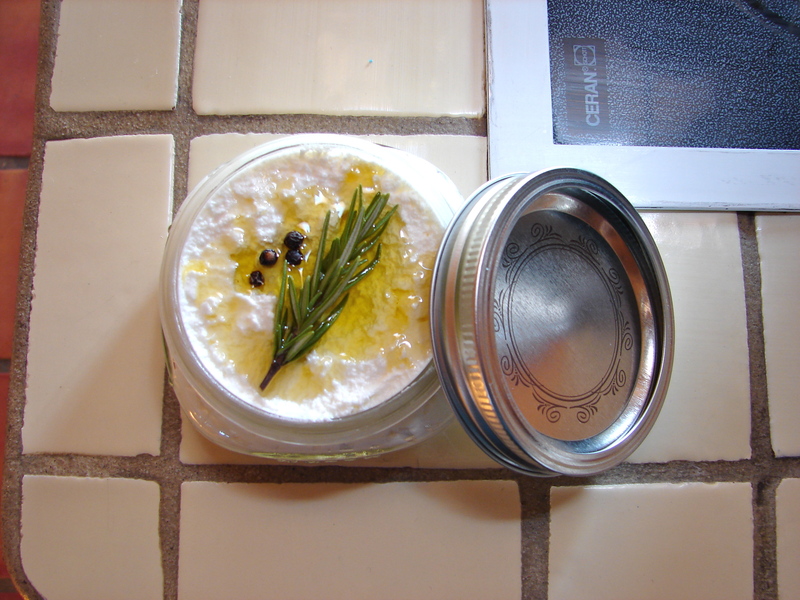 Place your cheese into pretty jars, drizzle the top with olive oil, and decorate with a sprig of fresh rosemary and a few peppercorns. Or a chive blossom, or nasturtium, or mix in honey and dried lavender buds. Let your imagination run wild! So many flavors are wonderful with chevre. And don’t throw out that whey! Mix it with your dog’s kibble, feed it to your chickens, or soak your beans and grains in it (mixed with the same measure of water). Many people like to drink it straight! We use it for all the above and also freeze it in quart jars to use later for cultured vegetable making (see my sauerkraut post here). This is a nice middle ground consistency – note the cracks on the surface of the cheese. 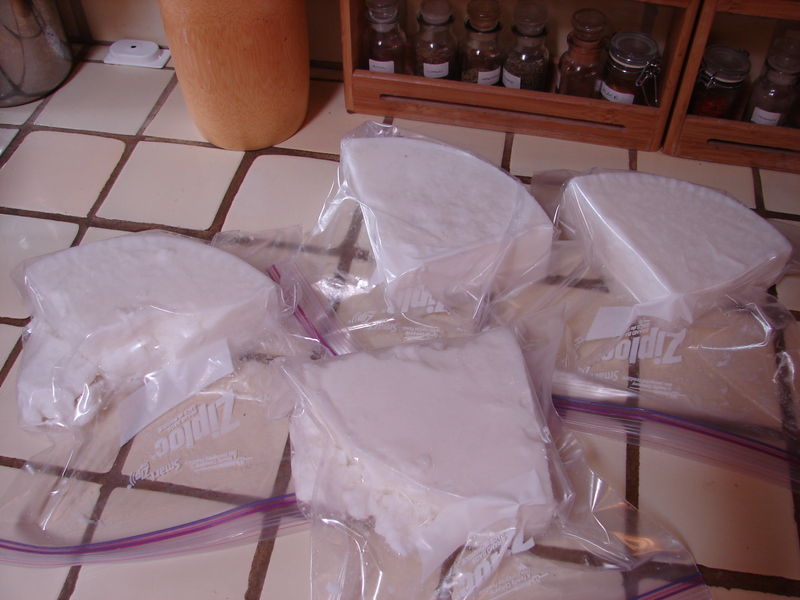 If the bag of cheese was hanging, you would have to give it a squeeze test to check consistency. Also note how the cheese separates from the muslin when it’s pulled up. I fold it away from the cloth first with a rubber spatula. Then I transfer it into a mixing bowl. 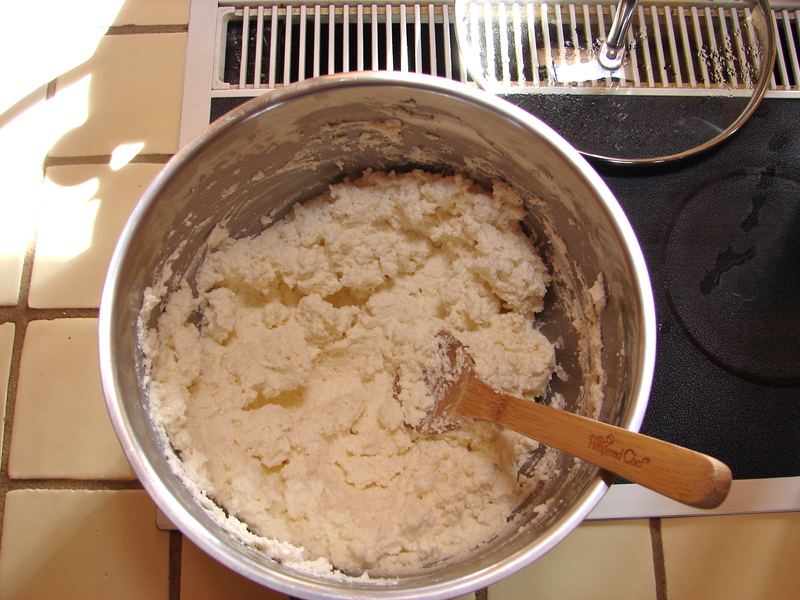 Mash and fluff the cheese to a smooth consistency. Then jar as you choose. Here’s the whey remaining in the pot below the colander. Jar that whey up and save it for later use! 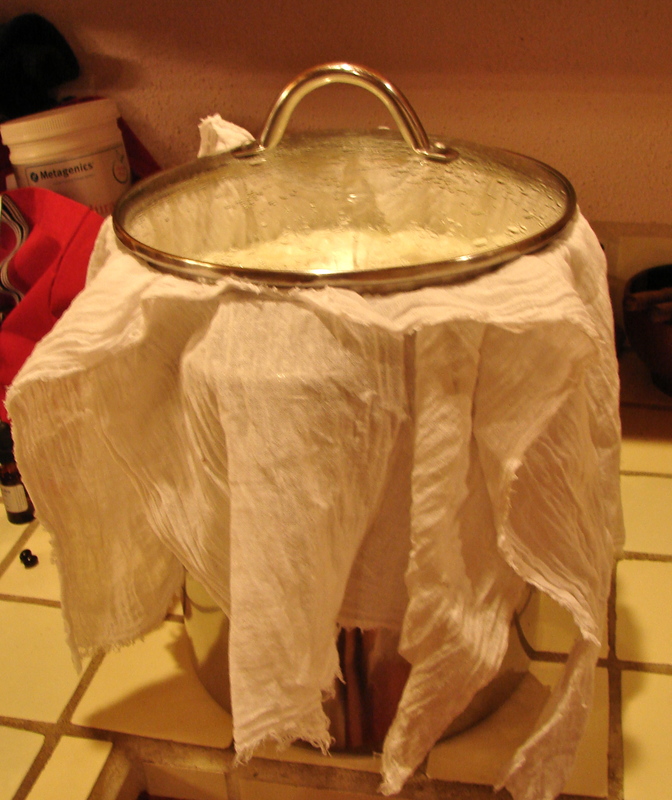 A note about washing your muslin cloth: Rinse it with cold water first, then wash well in hot, soapy water, rinsing many times. If your cloth develops an odor, boil it in a pot of water with some baking soda added and rinse afterwards. Air dry. When I feel lazy I have been known to shove the cloth into the regular machine wash with our clothes and have had no problems. Just be sure you are using laundry soap that is free and clear of chemical additives and fragrances. Using a hot knife, I sliced the disk into rough quarters. Then each quarter was sealed into a gallon zip lock baggie and placed in the freezer along with the tallow muffins. And now ALL the fat has been rendered a second time, is clean as a whistle, and waiting for my future adventures in the arts of making soap, salves and lotion bars!